"What a beautiful dream that could flash on the screen, in a blink of an eye and be gone from me. Soft and sweet, let me hold it close and keep it here with me, me. And one day we will die, and our ashes will fly from the aeroplane over the sea. But for now we are young, let us lay in the sun and count every beautiful thing we can see. Love to be, in the arms of all I'm keeping here with me, me"
Wow, it's been awhile since I posted, hasn't it? At least I have a ton of stuff to say for once. It was so much fun though. It was nice to finally have someone I could talk to, about nearly everything. And someone my parents actually trusted me with, that's always a good thing. Then, Friday night, two hours after I got home, my friend walked over to my house. Hers isn't too far away, so it wasn't too bad, It's just a lot of stuff had been going on in her life, she just had to get away from it all just for a bit. I had never seen her cry, so it was pretty bad to see her. I'm glad that she did come over though, even though it was for only a bit. I miss her so much, I wish I could see her every day, but I can't. Last night I went to the movies with her and her family though, and it was fun. We saw Imagine That, which I do recommend you guys see, it was really good. "I'm gonna go to sleep, let this wash all over me." I haven't slept much these past two nights. Friday I got about 2 hours of sleep, and about 4 for last night. Friday I was just so worried for my friend, and just thinking about a lot of stuff. Then last night I was talking to my one friend online, and I was suppose to talk to this one guy, but that didn't work out. So I ended up going to bed at around 3:30, and woke up 7. Yeah, I'm exhausted now. "And I knew it from the start, so my arms are open wide, your head is on my stomach. And we're, we're trying so hard not to fall asleep." "I'm still carrying a little hope that maybe things could be different now. Is that so wrong?" 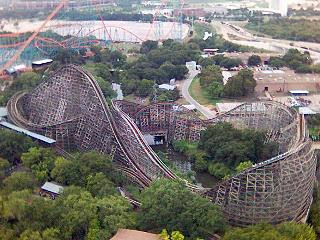 hey, six flags was amazing, and just remember everything will turn out okay, with your friend, and everything else. next week we can do something, im going to have to hang out with you before i leave on vacation. 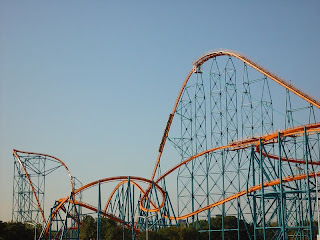 Six Flags sounds like it was a blast! I've never been... I'm glad you had a great time :) I hope that everything works out okay for your friend. You're pretty awesome to be so worried about her and everything... let us know how things are going for her! Yeah... as soon as summer begins, my sleeping schedule gets drastically worse. Yesterday I didn't go to bed until around 3 and woke up at 11 :P I hate sleeping in so late though, it makes me feel like I'm wasting half of my day! 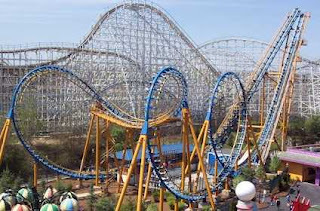 wow, it looks like an amazing place, we only have like one theme park with us, and it is good, but nothing like that! 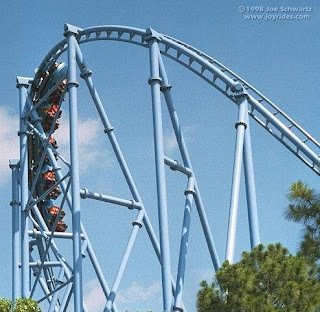 we do have the big one though, its like the tallest rollercoaster in europe, or at least it was, it proberly isnt anymore, which makes tha whole sentance alot less impressive that it sounded in my head!